House. This is, after Petworth House itself, the finest house in Petworth town. The house was at one time subdivided, but was returned to a single house as part of refurbishment of 2006-11. C18 front to a C16 building, built by the Goble family and originally called The Mansion. From about 1860 it was occupied by the Daintrey family, from whom the name is taken. Three storeys. Seven windows. Red brick and grey headers alternately. Moulded cornice and parapet with pediment over the three central window-bays containing a dummy lunette window. Glazing bars intact. 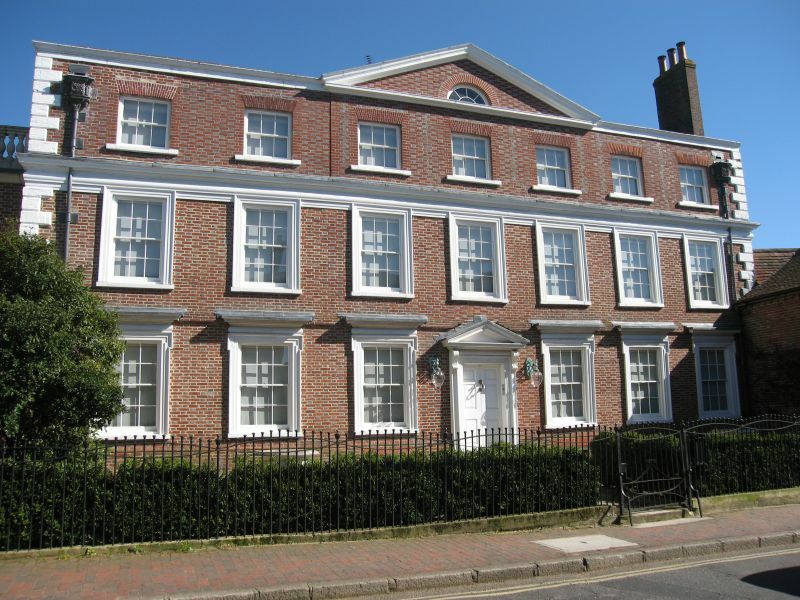 The ground and first floor windows have moulded architrave surrounds and those on the ground floor a wooden cornice over which is contained across the front between the windows in red brick. Wide moulded wooden cornice over the first floor. Doorway in moulded architrave surround with pediment over and door of six fielded panels at the head of three steps. The south wall has two massive red brick chimney stacks. The east front facing the garden has a timber-framed gable with red brick infilling, but otherwise is of ashlar dating from the early C19. The interior has C16 panelling, Petworth marble fireplaces, a plaster ceiling, a wall with panels in the drawing-room and an C18 staircase.